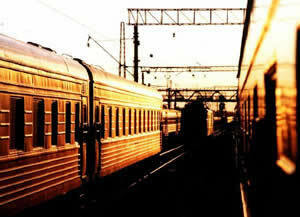 Transsiberian trains go from Moscow to Beijing (China) or to Vladivostok. But the most popular route is Moscow-Beijing (through Mongolia). The major cities the trains going through are Ekaterinburg, Irkutsk, Ulan-Ude, Ulan-Bator (Mongolia), Beijing (China). Our route planner allows to combine the FIT tour from the different segments of the journey. Part 2 � train departures information and tickets costs for any possible segments of the journey. Part 3 � FIT rates for the hotels, transfers and excursions in the cities of Transiberian route. Information about hotels, transfers and FIT excursions in Moscow is available from our general brochure �Confidential rates for travel agents� or from our WEB page http://www.moscowvoyage.msk.ru (click MOSCOW). (The rates are given in USD p.p., min. group � 1 pax). Discount for a child under 10 years old - 25%. (The rates are given in USD p.p. VAT included). Transfer to the hotel*** or ****. Full-day trip to the world deepest lake of Baikal. On the way - visit to the Open Air Wooden Architecture Museum. Lunch at the restaurant on the shore of the Lake. Visit to Limnological Museum with its unique collection of flora and fauna species Baikal Lake. Transfer to airport or railway station. 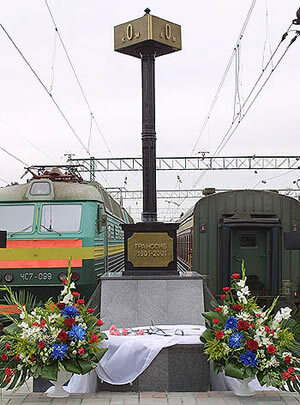 The old part of Transsiberian , which is the unique monument of engineering architecture with 39 tunnels and more than 400 engineer constructions built in the beginning of the century. Accommodation in the hotel (double & single rooms). City tour, visit to Znamensky nunnery and the site of foundation of Irkutsk fort. 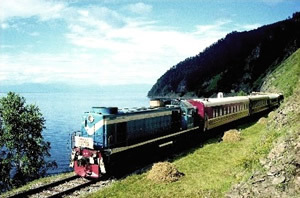 Tourist train Irkutsk-Sljudianka-port Baikal –Listwianka (only on Wednesday and Saturday)- business class. On the way - visit to the outdoor Museum of wooden Architecture. Accommodation at the hotel*** or ****. Acquaintance with a family, and local life style. On the way - visit to Open Air Wooden Architecture Museum. Visit to Limnological Museum, widely presenting flora and fauna of Baikal lake. At leisure (rest at Baikal). After breakfast - transfer to airport or railway station. Visit of Bolshie Koty village – NEW!!! Bolshie Koty is a small village, located at Lake Baikal shore 90 km northeast from Listvyanka. Surrounded by woody hills and picturesque rock cliffs this solitude place has its own life rhythm measured not by hours but seasons making you really relaxed of tight schedule, noise and rush hours. Boat transfer to Bolshie Koty village.